Madame Tussauds - The Was Museum Madame Tussauds - ticket of admission. 10% DISCOUNT on Hop-on / Hop-off bus. Do you want to meet celebrities, sports stars, political leaders, royals, movie actors and artists in one place. Yes, but do not live but in wax. 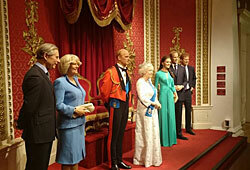 Make a visit to the wax museum in London. 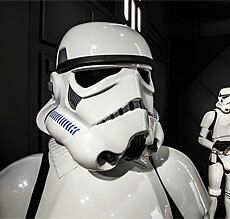 There are over 400 figures depicted at Madame Tussauds. All of human size. For those who like horror also visit The Chamber of Horrors. 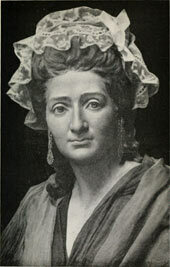 Marie Tussaud (born: Marie Grosholtz) made her first was figure 1777-1778. An image of Francois Voltaire. Marie learned the technique of a doctor named Philippe Curtius who used wax figures to illustrate anatomy. Her mother worked as a housekeeper for him. Philippe ended as a doctor and opened a wax museum in Paris. nine years on the magnificent castle in Versailles. 1789 during the French Revolution, she went back to Philippe Curtius in Paris. Philippe was involved in the storming of the Bastille, and this made even Marie Tussaud was accused of treason. It was near that she herself was guillotined, instead she was spared and had to make images of the dead faces. Philippe died in 1794 and gave all the wax figures to Marie. 1802 Marie moved to London with her one son. The following 33 years, Marie traveled around with his wax dolls, and they exhibited in different places. 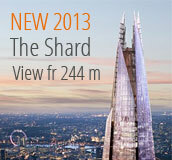 In the end, she decided to get a room near where today's Wax Museum is located, Baker Street. At this place the waxmuseum opened 1835.
two children. Today Madame Tussauds is run by "The Merlin Entertainments Group" and not the Tussauds family. Horrors if you dare. Keep in mind that this is the horrors of blood and death. Included in the ticket: Madame Tussauds Wax Museum entry including Star Wars Exhibition, Marvel Super Heros and The Sherlock Holmes Experience. 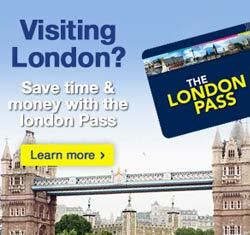 Save up to £6 per person when you buy your tickets online! Info Priority Entrance Ticket: For those of you who have pre-purchased a Priority Entrance ticket can go through "Trade client tickets Entrance" (door No. 2) at Madame Tussauds. Meet 16 characters and 11 sets from the Star Wars movies. You get to see Yoda swamp environment with lava where Anakin turns to the dark side and the ship with his solo etc. See Jabba the Hutt in his throne room, Princess Leia as a prisoner, when Luke Skywalker battling Darth Vader on the Death Star, Obi-Wan Kenobi, Stromtroppers, Hans Solo among others. A little cool to walk around and just feel nostalgia and space! 1884 Madame Tussauds opens in its current location on Marylebone Road. The equivalent of Madame Tussauds Wax Museum Grevin house is located in Paris, Montreal, Seoul and Prague. Here are a small number of wax dolls of the people that appear in the media. 1940 Museum destroyed by a bomb, about 350 statues destroyed. Amsterdam, Hong Kong, Las Vegas, New York, Shanghai, Washington, D.C., Berlin, Sydney, Being, Tokyo, Orlando, San Francisco and Hollywood. 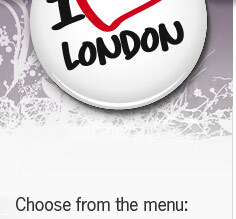 June 2011 © www.ilovelondon.se - I Love London is a tourist guide to the capital of England / United Kingdom.